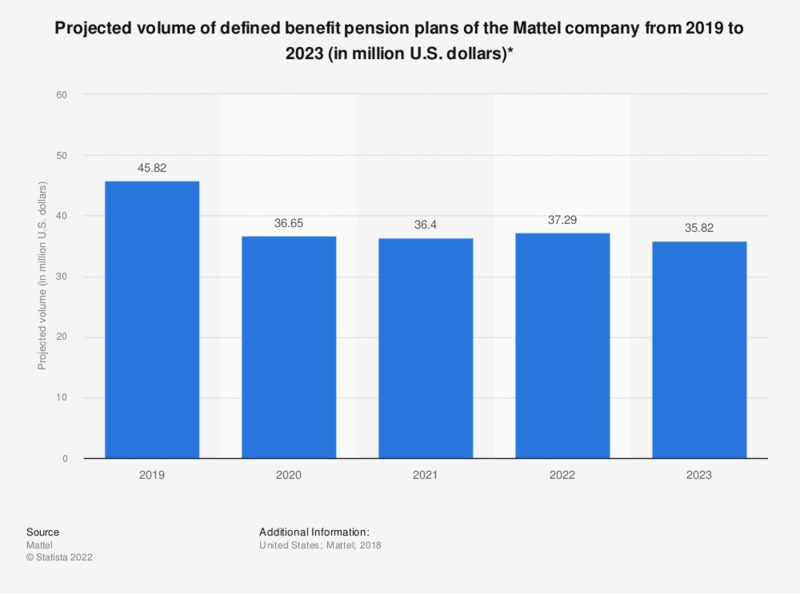 This statistic shows the projected volume of defined benefit pension plans of the toy manufacturer Mattel from 2019 to 2023. The volume of these is projected to reach around 35.8 million U.S. dollars by 2023. * A defined benefit pension plan is a major type of pension plan in which an employer promises a specified monthly benefit on retirement that is predetermined by a formula based on the employee's earnings history, tenure of service and age, rather than depending on investment returns. Have you bought a fidget spinner for yourself or someone else?